Exercise is nearly always touted as one of the most effective ways to increase endurance and improve overall health. 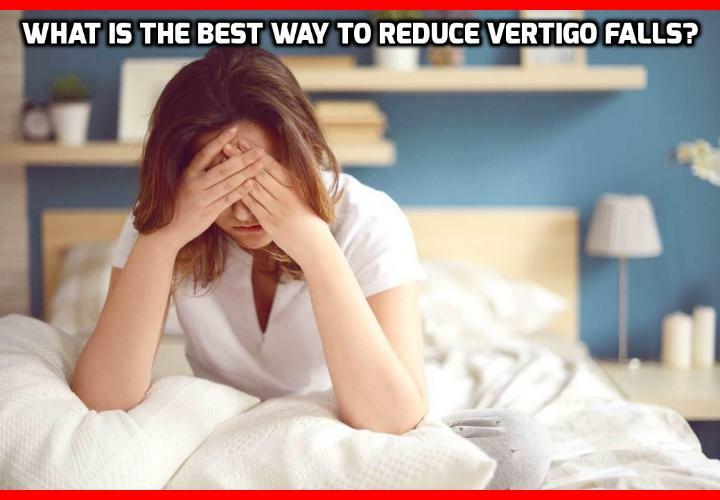 This is especially true for those suffering vertigo and dizziness. Australian researchers recently launched a yearlong study which involved individuals at or over the age of 69 with a history of falling down in the previous year. Functional Exercise”, which helped people work on their balance while doing daily tasks such as standing up, stepping over objects and walking. Then, two comparison groups were included. One was given a structured exercise program including ankle weights and instructed to complete the exercises three times per week. The other group was given gentle “sham” exercises. The result? Falls were reduced by more than 30% for the “Lifestyle-integrated Functional Exercise” compared to the two other groups. Not only that, but they also reported improved quality of life with improved participation in activities of daily living. Can this skincare produce naturally lower blood pressure?